US Justice Department: "It is essential that NCL and the cruise industry comply with the ADA's requirements"
consent decree with Norwegian Cruise Line (NCL) to resolve a lawsuit under the Americans with Disabilities Act (ADA) on behalf of individuals who are deaf or hard of hearing, and individuals who use wheelchairs, who took NCL cruises of the Hawaiian Islands. Under the proposed consent decree, NCL will ensure that individuals who are deaf or hard of hearing get the auxiliary aids and services they need, such as a sign language interpreter or a written transcript of the emergency drill, to fully participate in the activities on the ship and in the shore excursions. NCL will also ensure that individuals who use wheelchairs get accessible bus transportation between the airport, cruise ship and hotels, and on shore excursions. In addition, NCL will pay $100,000 in damages to nine individuals with disabilities and will also pay $40,000 in civil penalties to the United States. "People with disabilities who need sign language interpreters or accessible ground transportation should be able to go on vacation and enjoy the activities of a cruise like everyone else," said Thomas E. Perez, Assistant Attorney General of the Civil Rights Division. "It is essential that NCL and the cruise industry comply with the ADA's requirements for auxiliary aids and services and accessible transportation." "The ADA applies to cruise ships, just as it does to hotels and other entities that offer services to the public," said Wifredo A. Ferrer, U.S. Attorney for the Southern District of Florida. "Discrimination against people with disabilities, on land or at sea, will not be tolerated." After an extensive investigation, the Justice Department determined that five deaf individuals on NCL cruises around Hawaii did not receive interpreters and other auxiliary aids, or a closed caption TV, and thus were unable to enjoy the activities on board the ship or the shore excursions because they could not understand what was going on and communicate effectively. The Justice Department also determined that four individuals who use wheelchairs did not get accessible buses between the airport, ship and hotel, and on shore excursions; had to wait hours for an accessible bus at times; were unable to go on shore excursions because of the lack of an accessible bus; were charged extra for accessible transportation; and/or were not allowed to get on and off the bus during a shore excursion even though the bus was accessible. * Accessible over-the-road buses, shuttle buses, and vans for transportation between the airport, ship, and hotels and on shore excursions, with no extra wait times for accessible transportation. Title III of the ADA prohibits discrimination against persons with disabilities by public accommodations and private entities offering specified public transportation. It requires that public accommodations offer their programs and services in a manner that does not discriminate against people with disabilities. 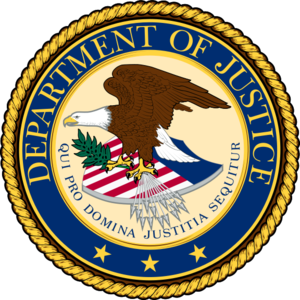 The Justice Department may bring lawsuits to enforce Title III seeking as relief injunctive remedies, monetary damages for complainants, and civil penalties. People interested in finding out more about the ADA or this Consent Decree can call the toll-free ADA Information Line at 800-514-0301 or 800-514-0383 (TDD), or access the ADA website at www.ada.gov. Now underway in Japan the Third International Universal Design Conference. The Air Carriers Access Act (ACAA) is the world's minimum standard for reducing discrimination against air travelers with disabilities. You can find a good overview of the act at Accessible Journeys, one of the world's pioneering Inclusive Tourism travel agencies. In a positive development Pakistan International Airlines introduced sign language to accommodate Deaf travelers. So it is particularly troubling to learn that Pakistan one of the CRPD signatories has released exclsuionary air travel policies that are making travel difficult for even Pakistani disability advocates of international stature such as Ghulam Nabi Nizamani, Secretary for Asia and the Pacific of Disabled People's International. People with physical disabilities can be healthy like any other healthy person. Many airlines provide toileting facilities in flight, with minor and very cost effective arrangements. Those airlines have attracted people with disabilities in this way and gained enhanced revenues. We respect PIA because on our request PIA introduced sign language in all flights' safety instruction video. The American Association of People with Disabilities (AAPD) is pleased to announce today that AAPD's President and CEO, Andrew Imparato, has accepted the position of Senior Counsel and Disability Policy Director for the Senate Health, Education, Labor & Pensions (HELP) Committee after 11 years of service with AAPD.?? "I am excited for this tremendous opportunity to work with Senator Harkin and a great policy team at the HELP Committee," said Imparato. "I am sad to leave AAPD, but I am confident that the organization will continue to grow and thrive under the leadership of our Board Chair Tony Coelho and the talented Board and staff."????. Since joining AAPD as its first full-time President and CEO in 1999, Imparato has led the organization to become the nation's largest cross-disability membership group with more than 100,000 members. Imparato has led AAPD's efforts to create opportunities for youth and young adults with disabilities and personally invested time and energy in cultivating emerging leaders throughout the country. He has also applied his strong policy background to a number of bipartisan legislative and administrative initiatives in the last 11 years. ?? He has testified numerous times in the House and the Senate and been instrumental in the passage of significant pieces of legislation and policy initiatives focused on the disability community, including the ADA Amendments Act of 2008, the Genetic Information Nondiscrimination Act, the Community Living Attendant Services and Supports (CLASS) Act that was passed as part of the health reform legislation earlier this year, and the most recent passage of the 21st Century Communications and Video Accessibility Act. Imparato has also worked closely with the Obama administration to fulfill the President's commitment to federal employment of people with all kinds of disabilities through federal hiring initiatives. Imparato also served for four years on the bipartisan Ticket to Work and Work Incentives Advisory Panel to the Social Security Administration.???? Imparato's work at AAPD has been recognized by the Secretaries of Transportation and Health and Human Services, the U.S. Junior Chamber of Commerce, the National Association of the Deaf, the National Association of Rehabilitation Research and Training Centers, the Osteogenesis Imperfecta Foundation, and many others. He has appeared on national television multiple times, most recently being interviewed by Judy Woodruff on The News hour with Jim Lehrer to discuss the significance of the 20th anniversary of the ADA.??. "AAPD is deeply indebted to Andy for helping to make AAPD the great organization that it is," said Tony Coelho, AAPD's Board Chair. "We congratulate Senator Harkin on his excellent choice and are confident that Andy will continue to make significant policy contributions that will improve the quality of life of people with disabilities in the U.S. and around the world. At the same time, AAPD is eager to begin our search for a President and CEO who is deeply connected to the disability community and seeks to continue the work and mission of AAPD. We are confident that Andy's successor will help AAPD continue to grow and thrive in the coming years," Coelho concluded.???? In light of his impending government position, Imparato has resigned, effective immediately, from his position on the Patient-Centered Outcomes Research Institute (PCORI) Board of Governors, an independent body to which he was appointed in September by the Acting Comptroller General of the United States. For more information about the PCORI Board, please visit http://www.gao.gov/hcac/patientcentered_outcomes.html.???? The Nagpur bench of Bombay High Court on Wednesday directed the state government to allow free access to a team of petitioners and experts from Indian Institute of Architects (IIA) to all government buildings in the city to explore possibilities of making then friendly for the physically handicapped. To provide easy accessibility to people with disabilities in state government buildings, main hospitals and universities, the central government Wednesday invited proposals from the states for central assistance. The state government's recent announcement that it will focus on making secondary school education barrier-free has been welcomed by activists though they add that more than just ramps and resource centres are needed to make the education system truly inclusive. Read more: More than ramps needed to make education barrier-free. The Centre has constituted a Task Force to work out the details for establishment of the proposed National Centre for Universal Design and Barrier-free Environment (NCUDBE) which was envisaged in the Eleventh Five Year Plan as a national body to facilitate and support the development of universal design and barrier-free environment. The Task Force, set up by the Ministry of Social Justice & Empowerment, has been mandated to examine in detail the need for setting up of NCUDBE, its structure, possible role and functions, its scope in the R&D in the area of assistive technology, implementation modalities and its manpower and financial requirement etc. The Task Force will also give its recommendations on the extent to which it should do R&D in house and support R&D efforts by other agencies. It will also dwell upon the issue of the National Centre's structure that whether it should be set up as an independent entity or under the umbrella of a suitable existing institution like the National Institute of Design or the Council of Scientific and Industrial Research (CSIR). The Task Force is headed by Prof. Samir K. Brahmachari, Director General of the Council of Scientific and Industrial Research and will have members from the National Institution of Design, Ahemdabad and School of Planning & Architecture, New Delhi. The Task Force will also have nominees (one each) from the Central Government's Departments of Telecommunication and Information Technology. The Joint Secretary in charge of the Disability Division in Ministry of Social Justice will be the Convenor and Ex-Officio Member and Director of Deendayal Uppadhaya Institute for the Physically Handicapped, New Delhi will be the Member-Secretary of the Task Force. Besides the Plan Document, the establishment of such a Centre is also obligatory under the UN Convention on the Rights of Persons with Disabilities to which India is a signatory. Article 2 of the Convention describes "Universal Design" as the design of products, environments, programmes and services to be usable by all people, to the greatest extent possible, without the need for adaptation or specialized design. Article 4 of the UN Charter lists it as general obligation to undertake or promote research and development of universally designed goods, services, equipment and facilities which should require the minimum possible adaptation and the least cost to meet the specific needs of a person with disabilities, to promote their availability and use, and to promote universal design in the development of standards and guideline. It may be recalled that last month, the Ministry of Social Justice and Empowerment had invited proposals from the States for central assistance to provide barrier free environment in public buildings including State Secretariat, Collectorates, Main Hospitals, Universities and other important State level offices to ensure that these are accessible to the People with Disabilities. The proposals have been invited after making significant increase in the annual budget of the Scheme for Implementation of PwD Act from Rs. 15-20 crore annually to Rs. 100 crore for the year 2010-11. The central assistance will also be given to make the Government Websites at the State and District levels accessible to PwDs. OPENspace, in collaboration with research partners at the Universities of Salford and Warwick, is hosting a third international conference in Edinburgh, UK. The event will coincide with the publication of findings from the consortium's flagship research project - Inclusive Design for Getting Outdoors (I'DGO) - and marks the tenth anniversary of OPENspace, based at Edinburgh College of Art, The University of Edinburgh and Heriot-Watt University. The conference will focus on recent research into the design and provision of accessible outdoor environments for everyone - people of all ages, backgrounds and abilities. It will highlight the importance of inclusive environments in improving the quality of life of individuals at different life stages and explore the links between the design and planning of communities - both urban and rural - and enhanced health and wellbeing. The event follows on from two previous conferences in the Open Space: People Space series (in 2004 and 2007), and will be delivered through a combination of plenary and parallel sessions. Drawing on expertise in enhancing people's engagement with the outdoor environment, it will be of interest to researchers, designers, planners, policy makers, public health professionals and campaigners; in short, everyone working for accessible and more inclusive environments for all. Travelers with hidden disabilities number in the millions, but they can be hard to spot, which makes it hard for tourism and hospitality providers to serve their needs. Hiddenly disabled travel expert Liza wll will take you on an introductory guided tour, beginning with identification--what is a traveler with a hidden disability? Next, care and feeding: What do people with hidden disabilities (and their travel companions) need from the travel and hospitality industries when they' re planning trips, and when they' re out on the road? Finally, how can travel and hospitality pros market to travelers with hidden disabilities, enticing them out of their comfort zones and encouraging them to travel to new places? Because hidden disabilities are, well...hidden, self-advocacy isn' t just a useful tool to help us get what we need when we' re on the road. It is the ONLY tool we' ve got. Liz will describe how travelers with hidden disabilities can politely, elegantly, effectively, and relentlessly advocate for themselves while they' re on the road. Who to talk to, when to talk, what to say, how to say it, and how to deal with language barriers will all be covered in Liz' s chat. The author of the upcoming book The Imperfect Traveler' s Guide to Traveling with Pain (Hunt Press, 2011), Moon California (Avalon Travel Publishing, 2009), and the writer of the blog Travels With Pain, Liz Hamill is a leading expert on travel with hidden disabilities. A native of the Silicon Valley, Liz gave up a lucrative but dull career in high tech to become a broke-but-happy travel and food writer. She looks forward to expanding The Imperfect Traveler brand and helping people with hidden disabilities of all kinds get out and explore the world. De 1o a 4 de novembro, quatro sess?es no CineSesc contar?o com o recurso da audiodescri??o. Iniciativa é fruto de parceria entre os organizadores da Mostra e a Secretaria Municipal da Pessoa com Deficiência e Mobilidade Reduzida. O secretário Municipal da Pessoa com Deficiência e Mobilidade Reduzida, diz que o objetivo da parceria é popularizar a utiliza? ?o de ferramentas de inclus?o e acesso aos bens culturais, como a tradu? ?o em Libras (para surdos), livros em braile, softwares leitores de telas e a própria audiodescri??o. "A Mostra Internacional de Cinema é um dos principais eventos culturais da cidade e para nós é muito importante que ela se preocupe em incluir o público com deficiência". Valdir Timóteo em nome do Movimento Inclus?o Já agradece ao Sr. Heraldo Guiaro diretor do Parque do Ibirapuera por cumprir com a promessa feita em 13/09/2009 os brinquedos foram instalados e inaugurados em 10 de outubro de 2010. Demorou? Sim, mas a promessa foi cumprida, esperamos que todos os Parques da Capital de S?o Paulo e do Brasil instalem brinquedos adaptados para o uso de crian?as com deficiência. Parabéns ao Sr. Heraldo Guiaro. 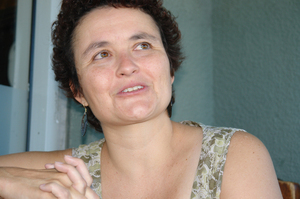 Parabéns a arquiteta Helena Quintana e parabéns a todos que contribuíram para esse feito histórico em nossa Cidade. Disability Matters 2011: My Nomination - Landscape Structures, Inc. Disability Matters is one of the most important Corporate Awards Banquet and Conference in the United States. The highly coveted awards are given to Corporations that are leading the way in terms of supporting people who either have a disability or who have a child or other dependent with special needs in the workplace though diversity, work life and/or human resource initiatives and in marketing to this segment of the population in the consumer space. The conference features experts from corporate America, academia, the federal government and the national non-profit sector who share best practices relative to internally supporting and externally marketing to this large, loyal segment of the population. 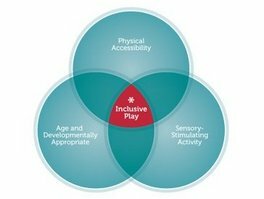 Landscape Structures, Inc. with an impressive Advisory Board, a moving set of real-life stories, and a marvelous, solidly-constructed array of playground sets has the formula for Inclusive Play. Let's see this sort of inclusivity on cruise ships, at family resorts and timeshares and especially as legacy items in parks after major sporting events like FIFA World Cup and the Paralympics. Every World's Fair should build nclusive playgrounds for tourists - and leave them behind as a legacy of the social revolution that is Universal Design. Hat's off to Landscape Structures, Inc! I hope you apply for Disability Matters 2011. 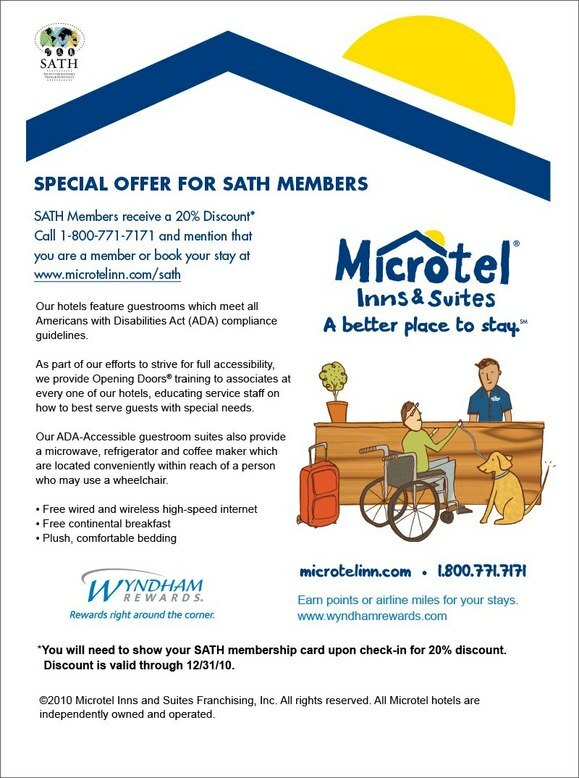 Microtel has been a leader in defining hotels that respect and welcome people with disabilities. SATH has been a tireless champion for inclusion by the travel and hospitality industry. Both have teamed to off SATH members a discount at Micriotel. TOTO positions itself as a global champion of Universal Design. Through their products and unwavering sponsorships of quality international events promoting UD the company has earned the respect of many in the field. Here, from their press release, is announcement of one of their recent contributions to assuring that the world understands that responsible design is socially sustainable design. TOTO, the global thought leader on Socially-Sustainable Design (the confluence of Universal Design and environmental sustainability), looks forward to this inclusive design philosophy becoming a dominant part of mainstream architecture's best practices in the coming decades. To that end, the company financed a professional education trip for 17 leading American architects to visit its Universal Design Research Center for Advanced Science & Technology (the only one of its kind in the world) in Chigasaki, Japan. During this weeklong excursion, TOTO also orchestrated opportunities for the visiting architects to meet for lively discussions on the topic with renowned Japanese architects in the field of Universal Design and sustainability and tour key facilities in Tokyo and Yokohama that focus on these initiatives. "Architects are stewards of the built environment," said Lenora Campos, Ph.D., corporate spokesperson. "TOTO wishes to collaborate with these designers of tomorrow's homes and commercial buildings to ensure that their structures are inhabitable, usable, and effective for all people, no matter their age or ability, and have minimal impact on the environment." TOTO designed and implemented this continuing education trip as an aspect of its Strategic Partnership with the American Institute of Architects, which is intended to connect the architectural community with key industry leaders like TOTO and, in so doing, expand the sharing of knowledge, increase the access to vital information, and advance the timely discussion of key issues facing the profession of architecture. "Socially sustainable design is a key component of an emerging global concept of 'good design,''' said architect William Leddy, founding Principal of Leddy Maytum Stacy Architects. "It is not an additive element, but is carefully woven within the fabric of inspiring places and things that welcome and sustain all people. ABUJA (ILO News) -The 4th CBR Africa Network Conference (CAN) today launched new guidelines designed to empower persons with disabilities by supporting their inclusion in health, education, employment, social, skills training and other community services. The Community-based Rehabilitation (CBR) guidelines resulted from the joint efforts of four U.N. and international organizations are expected to impact on millions of people with disabilities in Africa, many of whom now live in poverty and exclusion. The new CBR guidelines, under development since 2004, were produced by the World Health Organization (WHO), the International Labour Office (ILO), the United Nations Educational, Scientific and Cultural Organization (UNESCO) and International Disability and Development Consortium (IDDC), in close consultation with other key stakeholders on disability and development globally. Nigerian First Lady Dame Patience Goodluck Jonathan, wife of President Goodluck Jonathan, officially opened the conference - 'Linking CBR, Disability and Rehabilitation' -and launched the guidelines at the gathering of some 350 delegates from 30 countries in the Africa region, the Middle East, Asia and Latin America. The event also heard a welcome address by the Minister for Women Affairs and Social Development, Ms. Iyom Josephine Anenih MNI, FNIM, and included the participation of high-level Nigerian government officials, in addition to international development partners, United Nations agencies and CBR practitioners. Nigerian government support for the landmark conference comes in the wake of its recent ratification of the UN Convention on the Rights of Persons with Disabilities (CRPD) and its Optional Protocol and ILO Convention No. 159 on Vocational Rehabilitation and Employment (Disabled Persons) Convention which aim to ensure that people with disabilities enjoy their rights on an equal basis with all others. "The new CBR Guidelines will make a fundamental difference to the up to 80 million people with disabilities in Africa, lifting them out of poverty, in a process that involves them centrally", said CAN Executive Director Ms. Joan Okune. Dr. Etienne Krug, Director of the WHO Violence and Injury Prevention and Disability Department said "the Guidelines on community-based rehabilitation provide an important additional tool to implement the Convention on the Rights of Persons with Disabilities and strengthen community-based development involving people with disabilities." Echoing this support, Rehabilitation International Secretary-General Venus Ilagan said "the CBR Guidelines highlight the importance of all stakeholders - including disabled persons' organisations as well as government and social partners - working together to achieve a shared goal of full participation with equality of persons with disabilities." IDDC and its partners across Africa, Asia and Latin America, having contributed to the development of the Guidelines, are expected to put into practice this fundamental shift toward a multi-sectoral approach involving all parts of government in partnership with people with disabilities, their families and communities. Speaking on behalf of the ILO, Ms. Barbara Murray, Senior Disability Specialist, said "the Guidelines will be an essential part of the campaign to keep the promise of the Millennium Development Goals for people with disabilities who represent more than a one in 10 of the worlds' population." The new guidelines provide guidance on using CBR programmes to implement the CRPD in low and middle income countries; promote a strategy for community-based inclusive development; shift away from the old approach which separated people with disabilities from the mainstream of society to a new approach that seeks to empower and include them in decision making; and, promote dignity and rights for all. The conference is being held at the Nicon Luxury Hotel in Abuja and will conclude on Friday, 29 October. It is open to the media and disability experts are available for interviews. UB's Center for Inclusive Design and Environmental Access and the Toronto Rehabilitation Institute are partnering to research and change the accessibility of housing, public buildings and outdoor spaces able to accommodate people of all abilities and ages. Through a five-year, $4.75 million grant that launched on Oct. 1, UB researchers and the Toronto Rehabilitation Institute will be working together to make products simpler and easier to use for every person of any ability. This is the third five-year grant UB has been awarded, reflecting the long-term commitment and success of UB researchers in this field. , the principal investigator for the project, professor of architecture, and director of UB's Center for Inclusive Design and Environmental Access (IDeA Center), is working alongside co-principal investigator James Lenker, assistant professor of rehabilitation science, on the initiative. Steinfield and Lenker are co-directing the new RERC with Jordana Maisel, director of the IDeA Center's outreach and policy studies, and Geoff Fernie, vice president for outreach at Toronto Rehabilitation Institute. "[This initiative] is giving an opportunity for students from different departments to come together and work with nationally recognized researchers," Lenker said. "It's a good chance for students to work with people from different disciplines [and] make a relevant and positive societal benefit." La presidenta de la Asociación de Parapléjicos y Grandes Discapacitados Físicos de Canarias (Aspaym Canarias), Ana Rodríguez, reclamó hoy al Gobierno autonómico que realice un Plan de Turismo Accesible para las islas. "Llevamos seis meses solicitando una reunión con la Consejería de Turismo para hacer una guía de turismo accesible para Canarias. Tienen una propuesta encima de la mesa desde hace a?o y medio, y todavía no hemos recibido respuesta alguna", indicó la presidenta de Aspaym Canarias durante las III Jornadas Científicas. Rodríguez se?aló, además, que la Consejería estaba invitada a las III Jornadas Científicas, "pero nos han dicho a última hora que no asistía nadie". "Esto se debe a que no tienen nada que decir en materia de turismo accesible", lamentó. "Somos unas islas desafortunadas porque no tenemos un plan de turismo accesible como merecemos". En este sentido, recordó que hay más de 200.000 personas con discapacidad en Canarias, "con un potencial tremendo", y "esta situación es vergonzosa". Denunció que se siguen inaugurando hoteles en las islas "que no cumplen los criterios básicos de accesibilidad" y a nivel de playas "también es muy deficiente". "Siempre escucho al presidente de Canarias que todo lo que hace es por y para las personas. Nosotros también somos personas y tenemos el pleno derecho a irnos de vacaciones, algo que se nos hace muy difícil dentro de Canarias", a?adió. Asimismo, aseguró que un plan adecuado "generaría muchos puestos de trabajo y facilitaría que muchas personas con discapacidad acudieran a nuestras islas de forma normalizada. El Gobierno tiene que apostar por la igualdad de oportunidades para todas las personas", sentenció. Por ello, la presidenta de Aspaym Canarias propuso que se realice una guía propia de cada isla en la que se recojan los hoteles adaptados, las zonas de ocio o los restaurantes a los que puede acceder cualquier persona con discapacidad. Dentro de la programación del I Salón Nacional para la Capacidad, Miguel Pereyra Etcheverría y Jose Antonio Romero daban una ponencia magistral sobre la historia y la lucha por hacer del mundo un lugar accesible. La Conferencia "Accesibilidad Universal" comenzaba esta ma?ana en el Salón de Actos con cierto retraso, debido a la gran participación de la Mesa Redonda previa a la misma que versaba sobre "Ayudas técnicas y calidad de vida". Miguel Pereyra Etcheverría, Presidente de la Asociación ADACE Castilla La Mancha, Asesor del CERMI Estatal y Secretario del CERMI Castilla La Mancha en Toledo, hacía un repaso a través del cambio de concepto de la accesibilidad, desde antes de la LISMI, en 1982, hasta nuestros días. Pereyra ha insistido en la lucha de las personas con discapacidad simplemente para hacerse oír primero, para que los escucharan después, y finalmente para que hicieran algo por ello. A través de la historia de esta batalla se ha pasado del "por favor" al "tengo derecho", porque de lo que se trata es de conseguir un dise?o para todos, una accesibilidad global. Por su parte, José Antonio Romero Manzanares, Gerente del CERMI Castilla La Mancha en Toledo, ha tratado el tema a través de tres espacios que nos son inherentes en nuestra vida cotidiana y socialización. El primero de ellos era el espacio comunitario, todo aquel que incluye el urbanismo, la vivienda, la ciudad y los pueblos, el transporte, los edificios o los comerciales de ocio y tiempo libre; el segundo espacio personal, en el que las personas se desenvuelven a nivel individual y familiar y en el que se deben centrar todos los apoyos que hagan lo posible por favorecer la plena autonomía de la persona: ayuda y apoyos técnicos, asistentes, formación, información, etc. Finalmente, se pasaba al plano virtual, donde los medios de comunicación e información, especialmente los basados en las nuevas tecnologías, muchas veces no hacen de su parcela un lugar accesible; lugares que sin embargo deberían serlo para favorecer el acceso de las personas con discapacidad a la información, a la formación, a la participación. Esto se convierte así en un paso previo a la participación, a la toma de decisiones. Ambos abogan por el dise?o universal como la única forma de ver un mundo que debe ser para todos; y coinciden en que no hacen falta más leyes o cambios en las mismas, simplemente es necesario que se cumplan las ya existentes. Con una nota de humor encerrando algo, sin embargo muy serio, Romero Manzaneros daba como solución a todos los problemas de este ámbito al "Tío de la Vara", personaje televisivo interpretado por José Mota. Para él cada una de las personas con discapacidad debería tener uno y en ese sentido internet, o los medios de comunicación podrían interpretar ese papel con mayor facilidad que otros estratos de la sociedad. ARTS, DISABILITY AND CREATIVE AGEING - YOU CAN MAKE A DIFFERENCE TODAY! Add your support to the campaign for a $20 million investment to implement the National Arts and Disability Strategy with an additional $4 million to support Creative Ageing. 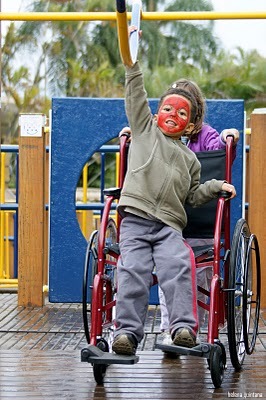 In October 2009 the Cultural Ministers Council launched the National Arts and Disability Strategywhich describes the actions necessary to increase the low level of cultural participation by the 20% of Australians with a disability identified by the Australia Council and Cultural Ministers Council. A significant investment of new money is an essential part of making the National Arts and Disability Strategy a success by directly addressing the barriers to participation. The investment will also compliment other successful activities like the Australia Council's Disability Action Plan. Creative Ageing is an additional area of rapidly growing interest for artists, older people and aged care services though a gap in arts policy since the Australia Council's 1995 report Older Australians and the Arts. The Australian Bureau of Statistics (ABS) 2003 Survey of Disability, Ageing and Carers (SDAC) found 3.35 million people are aged 60 years and over including 51%, or 1.7 million people, who reported they have a disability. Older Australians also have significantlylower levels of cultural participation than the overall population. There is existing evidence that involving older Australians in creative activities will have an impact on improving social, mental and physical health while also supporting the right to participate and achieve in the arts. HOW SHOULD THE $24 MILLION BE SPENT? WHAT CAN YOU DO NOW TO MAKE YOUR VOICE HEARD? Tell your story, why access issues are important to you and ask the Government for support. organisational views and support for a $24 million investment in Arts, Disability and Creative Ageing. LOOKING FOR MORE INFORMATION ABOUT ARTS AND DISABALITY? The National Arts and Disability Strategy consultation process. The 733 respondents who identified their residential postcode were from: NT 15, NSW 205, ACT 23, VIC 270, QLD 54, SA 55, WA 60, TAS 51. 40% of respondents identified as having a disability, being deaf or living with a mental health issue. In 2009 the Victorian Government released Picture This, a consultation and research report into cultural participation by people with disability in Victoria. Read about Arts Access Victoria's State-wide campaignhere. Accessible Arts NSW have published the 'Speak Up: Arts & Disability Priorities for NSW' report, the result of a three-year consultation project with arts and disability stakeholders across NSW. The South Australian Government supports theRichard Llewellyn Arts and Disability Trust and has published a State-wide consultation report on the arts and disability sector. Arts ACT are going through a consultation and review process while ArtsAbility ACT have established theGenerate Canberra arts access network and website as a way of networking and supporting individual artists. In 2010, the Tasmanian Government has announced $1.25 million in funding to implement the National Arts and Disability Strategy and is consulting with the arts and disability sector about priorities. Arts Access Australia members Access Arts QLD,Arts Access Central Australia and Arts Access Darwinregularly evaluate their work and consult with local artists and organisations. This research informs our work nationally. Sign up here for the Arts Access Australia email list and be kept up to date with this campaign. Here Sprint Relay and See What I'm Saying announces short film contest to promote captioned films. http://www.dotcr.ost.dot.gov/asp/airacc.aspIt is often wise to head straight to Candy Harrington's site Barrier-Free Travels when the superficial coverage given to issues if high importance to travelers with disabilities leaves you hungry for depth and solid analysis. We hear about airline denied boardings all the time in Asia, Africa, Australia and (thanks to easyJet) the UK; but they don't happen all that often in the US. Why? Well quite simply, because we have the Air Carrier Access Act (ACAA), a piece of civil rights legislation that specifically prohibits such discriminatory behavior. But apparently a US Airways gate agent in West Palm Beach missed the "special needs" day in training; as he recently forced wheelchair-user Johnnie Tuitel to deplane. Why? Because he determined that Mr. Tuitel was "too disabled to fly by himself." Now bear in mind Mr. Tuitel isn't a newbie to air travel; in fact, as a motivational speaker he's logged almost 500,000 miles in the past few years. Ironically he was on his way to speak at the 2010 National Self Advocacy Conference in Kansas City, when this unfortunate incident occurred. Everything went fine at check-in, and when the gate agent took Mr. Tuitel to his seat. But things went down hill quickly after the rest of the passengers boarded. That's when the gate agent returned to the plane and informed Mr. Tuitel that he had to get off the plane. Thinking that there was some kind of a family emergency, Mr. Tuitel quickly complied; only to subsequently find out that he was being booted from the flight. Svayam, an initiative of S.J.Charitable Trust, India is proud to announce that TRANSED 2012, the 13th International Conference on Mobility and Transport for Elderly and Disabled Persons will take place in India from September 17-21, 2012 on the theme "Seamless Access for All: Universal design for transport systems and infrastructure as a key element in the creation of livable cities". The TRANSED series of conferences have, since 1978, provided the premier international forum to exchange ideas on what works and why, and to share innovations, good practices, and research on accessible transportation, mobility, and travel. Russ Glickman, president of Glickman Design Build,... reached a ... crossroad more than 20 years ago when he learned that his son, Michael, has cerebral palsy. Although a highly-regarded professional with over 33 design awards to his credit, the North Potomac remodeler suddenly realized that there were considerations to universal design -- a specialty building discipline -- that he hadn't mastered, and that even the most experienced professionals were still learning. "Every special-needs scenario is unique," Glickman points out. "Accessibility planning, aging-in-place, universal design ... each area has distinctive protocols and a lot of professional literature to absorb. But, beyond this, you want a plan that is appropriately rationalized for every member of a household." "On that score, a new model home is difficult to retrofit -- mainly because developers aren't prepared to plan for these kinds of contingencies." New Zealand held its Inaugural Access Tourism Conference recognising the significance of the growing accessible tourism market. The Auckland University of Technology held New Zealand's Inaugural Access Tourism Conference. The conference marked a significant shift in thinking acknowledging the economic arguments for Accessible Tourism and moving the focus away from the traditional disability rights of the past. Access Tourism currently represents 11% of the total tourism market and is the most under serviced of the tourism sectors. It is also the fastest growing with it to be estimated to be worth 22% of total tourism expenditure by 2020 as the cash and time rich Baby Boomers approach their mid 70's and acquire age related disabilities. Travability's founder, Bill Forrester, was one of two Australian Key Presenters at the conference. In her opening address the Honourable Tariana Turia , New Zealand Minister for Disabilities said: "Access tourism - the development of tourism opportunities for people with disabilities and for the elderly - is the fastest growing sector overseas. Indeed, it is a high growth industry, expanding and exploring the potential of a vast market of tourism products. Access tourism embraces tourism, travel and hospitality. It is also a lucrative market, which can do much to boost our future economic growth. And yet access tourism has been a neglected sector in New Zealand - to our distinct disadvantage." Some 88% of people with disability take a holiday each year that accounted for some 8.2 million overnight ? trips. The average travel group size for people with a disability is 2.8 people for a domestic overnight trip and ? 3.4 for a day trip. There is a myth that the accessible tourism market does not spend because of economic circumstance and ? are a significant proportion of each travel market segment. They travel on a level comparable with the general population for domestic overnight and day trips.? The total tourism expenditure attributable to the group is $8bn per year or 11% of overall tourism ? expenditure. Australia has an ageing population that is increasingly affected by disabilities. These people are retiring at a younger age and living longer. Based on general population statistics of age acquired disabilities the total expenditure of this group in the travel sector is likely to exceed 22% in ten years time. Not only is this relevant to Australia's domestic tourism market but the majority of Australia's inbound tourism is sourced from countries with a similar age demographics. Over the last 20 years Australia, like most of the rest of the western world, has had building codes and anti discrimination legislation in place that has seen accessible infrastructure built in all locations. Billions of dollars have been spent on the accessible facilities but the tourism industry and key tourism promotion bodies have failed to recognise the value of the market that they have been built for. Bill Forrester said at the conference "Accessible Tourism facilities are still seen as accommodation for people with a disability, they are not viewed as valuable assets to attract a valuable market segment"
He went on to say "That accessibility should be seen to be about inclusive marketing not viewed as an obstacle to be overcome or a legislative requirement to be complied with." Infrastructure is no longer the issue it is the lack of readily available accessibility information on the mainstream tourism web sites that is holding Australia back in this growing market. It should be being led from the front by Martin Ferguson and Tourism Australia instead of being hidden away on specialist disability travel sites like NICAN, especially when Australia's tourism industry is struggling to recover from the Global Financial Crises and a very strong Australian Dollar. Australia needs to recognise the significance of this growing market sector and show some real leadership or it runs the risk of being left standing on Tarmac while countries like New Zealand and Canada take the lead and market. People with a disability are now the largest minority group in the world. The following comes from Ethical Traveler. We were pleased to see Kerala's kettuvalam's included but note that their deck plans - as well as the site plans of several of the sites featured in this book do not allow for travelers with disabilities. Of course, these environments provide challenges - but it the responsibility of all design to be inclusive in order to be responsible and socially sustainable. Editor's Note: The following review was written by Annika Hipple and originally appeared on Ethicaltraveler.org. The foreward to Hitesh Mehta's new book was written by STI Board Member Costas Christ. Hitesh will soon be setting out on a worldwide book tour, so look for him in a book store near you. You can watch a short promotional video on his new book by clicking here. With all the green buzzwords flying around these days, it can be hard for travelers to know what to trust. How do you know if a tourism business is truly sustainable? How can you be certain that an ecolodge is really "eco"? What kinds of criteria should you be looking at? Enter Hitesh Mehta, a Kenyan-born architect and landscape architect who has traveled the world seeking to answer these very questions. The result is his new book, Authentic Ecolodges, which presents 36 lodges that Mehta considers to be among the best of the best. Mehta is an acknowledged expert in the field - he's been referred to as an "ecolodge guru" - who has worked on ecodesign projects around the world and is a longtime member of the executive board of The International Ecotourism Society. Authentic Ecolodges is the outcome of a three-year, 46-country odyssey during which Mehta personally visited and evaluated all of the lodges included in the book, along with several others that did not make the cut. With its coffee table format, stunning photographs and alluring descriptions, Mehta's book will delight both travelers and design aficionados, but in many ways, it's what's behind the book that's most interesting. Mehta's efforts to systematically define what makes a lodge "eco" offer guidance for travelers seeking authentic experiences and inspiration for planners seeking to develop new properties that minimize impacts on the environment and maximize benefits for local people. Although most of the analytical background is left out of the book, Mehta outlines his basic methodology in his introduction. His definition of an ecolodge - developed though 10 years of research and interviews with professionals and stakeholders in a variety of ecotourism-related fields - is as follows: "a two- to 75-room, low-impact, nature-based, financially sustainable accommodation facility that helps protect sensitive neighboring areas; involves and helps benefit local communities; offers tourists an interpretive and interactive participatory experience; provides a spiritual communion with nature and culture; and is planned, designed, constructed and operated in an environmentally and socially sensitive manner." Based on this definition Mehta developed a checklist of criteria that any lodge must satisfy in order to be considered "authentic." The lodges are scored based on these criteria and given a rating indicated with butterfly symbols. According to Mehta, one thing that is unique about his project is that it is the first time "in the history of hotel-book writing and certification" that a single person has personally visited every included property and evaluated them according to a single set of criteria. He hopes that the rating system he developed will be used by travelers, architects, and others involved or interested in ecotourism. Mehta explains, "There are two main reasons I have done this book: to create environmental and social awareness amongst travelers, professionals and researchers around the world and to celebrate the brilliant work of people on the ground - craftspersons, lodge owners etc. - people who would normally not make it in the glossy magazines and books like the so-called 'star architects.'" Authentic Ecolodges will be released by HarperCollins on November 2, 2010. Preorder discounts are are available from Amazon.com and barnesandnoble.com. The book is also available from www.authenticecolodges.com and any bookstore. This article originally appeared in Ethicaltraveler.org. A grant from the Iowa Department of Elder Affairs is appearing at shows and fairs across Iowa and beyond. It was was designed by an Iowa State University (ISU) professor, Dr. Mary Yearns. Much of her work involves helping people transition back home after a disability -- even a short-term disability. "When you come home from the hospital and you can't use your own bathroom facility, it's very limiting," Carol Schneider, Plymouth County Extension coordinator, explains. The trailer displays features like a sink with space below it to allow a wheel chair to come close, low hand mirrors and towel racks, a movable shower seat and hand-held shower head, a toilet with an electronic lift that can help lower a person to a sitting position and a large square button to flush it. Yearns had a model bathroom at ISU, but she wished she had it on wheels so she could take it out. That's how the Universal Design for Better Living trailer came to be. "There's also a kitchen trailer as well," Schneider said. Last week I read Scott's posts and comments on universal design, the Spoon Theory, and whether the principles of inclusive tourism could become so broad as to lose the voices of the disabled travelers who advocated for universal design in the first place. The ideas got me thinking about something I'd written recently--a section of my upcoming book The Imperfect Traveler's Guide to Traveling With Pain. Focusing on how much pain you're in and the ins and outs of your medical condition doesn't make it easier to plan a trip. Instead, try this exercise: Think of your condition as if it were a two-year-old child. Millions of parents travel with toddlers every day of every year--it's considered a normal, even desirable thing to do.
? Toddlers require special plans, from choosing the right hotel room to planning special activities to remembering to bring the doctor's phone number along.
? Traveling with a toddler means packing differently and it means lugging special items around throughout your trip.
? Toddlers can't do all the same things adults can--no downhill skiing, no back-country hikes, no 10-hour sojourns in art museums, no all-nighters at the hottest clubs.
? Toddlers need to eat frequently (and healthfully) and sleep on a regular schedule to keep happy and even-tempered, especially on vacation.
? Despite all the best planning and scheming, sometimes toddlers have tantrums and spoil an outing. It's not fun to have to abandon plans in the middle of the day, but it's not the end of the world either. Now substitute "chronic pain condition" for "toddler" in each sentence. You'll realize that while traveling with pain can be a pain, it's something you can do. At least your pain won't throw food at other diners in a restaurant or start screaming during an opening night performance on Broadway! It's a tough question--should inclusive tourism err on the side of super-inclusion to the point of denying that any group needs to be singled out for special or specific accommodation? Or should each group--wheelchair-users, chronic pain sufferers, parents of toddlers, lactose-free diners, etc. etc. ad infinitum push as hard as possible for their own accommodations without acknowledging that many "special" needs overlap enough to make universal design a viable answer. As a member of Team Travels With Pain, I do like to chat with other travelers with pain--who else could understand and help advocate our needs better? There's value in diversity, and warmth in a sense of belonging to a community of like-minded and like-bodied folks. But then, the accommodations I need on the road also help my best friend--the pregnant mom of a two-year-old girl. She might not be a traveler with pain, but she too travels with a limited number of "spoons" each day. Our needs overlap so frequently that we make near-ideal travel buddies. Maybe I'm a starry-eyed optimist, but I think that inclusive tourism has room for both small groups and large crowds. I don't think we who belong to disabled travel communities need to give up our voices or our stories in order to advocate the creation of universally designed structures and modes of transportation that can accommodate all who need or want to use them. 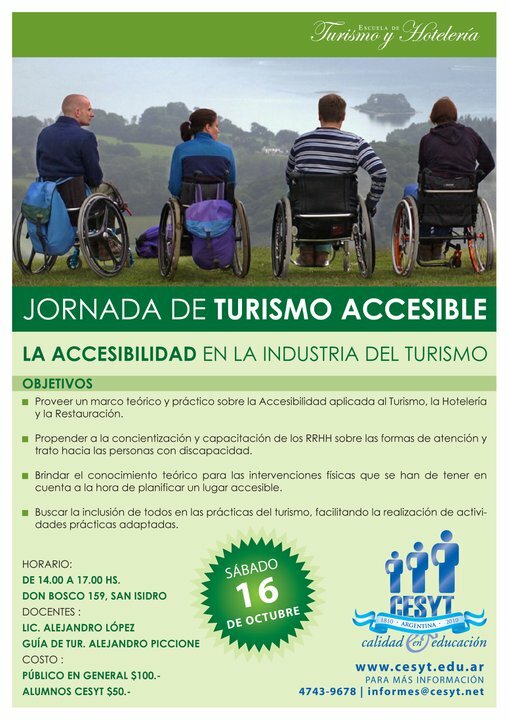 Assiste la Jornada de Turismo Accesible en CESYT, San Isidro. "80 % of Baby Boomers Desire THIS!" From the Opinion Research Corporation for AARP, a "baby boomers" majority said they intend to stay in a one-level home, relocate to one, and/or downsize. Nearly 80 percent of baby boomers say they would like to continue to live at home for so long as they can. Living at home- What makes this possible in terms of the environment itself? Planning, design and development of homes in sustainable communities-with a whole systems approach and a nod to practical comfort via universal design elements. FlyDubai - Well, actually don't. They discriminate against PwD! A blind American traveler says he was stopped from getting on a flight in Dubai on Tuesday because of his disability -- a decision the government-run airline insists was a mistake it regrets. Zuhair Mahmoud, of Arlington, Virginia, told The Associated Press he ran into problems when he went to check in for a 10:10 a.m. flight on FlyDubai to Amman, Jordan. He was planning a brief stay in the Jordanian capital before heading back to the United States. "They looked at me and said: 'Well, we can't take you. ... You're traveling alone,"' he recalled. Mahmoud protested and asked employees to check with their superiors. He said he was told that there was nothing they could do because it was airline policy not to allow a blind traveler onboard unaccompanied. "I was mad. ... I couldn't believe it," the 37-year-old information technology specialist said. "I tried to reason with them, but I just got a single cold answer." He left the airport and went to stay at a brother's house in Dubai until he could catch another flight out. The airline doesn't dispute Mahmoud's account. I was going to write this later because I did not 'transit' at Dubai Airport till my flight back. But I read this article at the Disability Awareness in Action website on negative attitudes towards disabled people in Dubai and it helped to explain some of the attitudes of the staff - or should it? On the journey back to UK at Kuala Lumpur International Airport, I was advised not to get my wheelchair out at Dubai Airport on transit because there might be a strong chance that it would go missing. Its happened to me before when I was in Bangkok so I took the advice. However, this means using one of the airport own wheelchairs. At Dubai, it appears that each assistance staff member have assigned wheelchairs - the man who wheeled me to the transit lounge was most disconcerted when I wanted to stay in the wheelchair and not transfer to a lounge chair. I told him I needed it to use the bathroom etc since there was a 3 hour wait. He said he couldn't do his job unless he got the chair back! More than 50% of those surveyed in a recent poll felt that disabled people are not capable of making moral decisions, that they are child like and have a deviant personality. Disabled people were not, therefore, considered to be capable of assuming leadership positions. The research was carried out by Victor Pineda, who is looking at the 2006 UAE Disability Act and its implementation. While the law explicitly addresses aspects of health, rehabilitation and special education for disabled people, Pineda found that they cannot really enjoy the benefits because, "...new approaches - mobility, public participation, independent living - are missing. It requires an investment by the state and the government to provide the quality of life and dignity these individuals want." "Why Survive? Being Old in America"
This article by Lynn Kellog in the Herald Palladium writes about Dr. Robert Butler, author of the 1976 Pulitzer Prize-winning book "Why Survive? Being Old in America"
The physical infrastructure of our communities and the services provided must become a testament to universal design with easy accessibility for all. Medicine is very slowly switching from a focus on a cure to functionality. Prejudices toward age, often an indication of our own fear of mortality, need to be replaced with recognition for lives of rich experience and value. Butler believed and personified how persons of advanced age had vigorous potential to live well, healthily and happily towards the end of life. He said, "After one has lived a life of meaning, death may lose much of its terror; for what we fear most is not really death but a meaningless and absurd life." Aside from his advocacy on so many fronts, Butler's perspective gives us license to focus on what gives us meaning. With that thought, we can happily move away from our fears of physical change and instead focus on what gives us value and meaning in life. Individually, value manifests in limitless ways: continued work, inner peace, joy in music, the company of others, art, nature's beauty, whatever. Persons of advanced age usually understand this. As a society however, we still don't recognize the daily impact of the longevity revolution and its inevitable changes. Nos dias 10, 11 e 12 de outubro o Parque Ibirapuera receberá uma grande festa, com artistas circenses, para comemorar a inaugura? ?o do Playground Inclusivo. O novo equipamento concede autonomia para as crian?as cadeirantes, cegas ou surdas se divertirem. Na Semana da Crian?a, o Parque do Ibirapuera inaugura o Playground Inclusivo, um brinquedo projetado para integrar crian?as com e sem deficiência. Nos dias 10, 11 e 12 de outubro, artistas de circo se apresentam junto à nova atra? ?o, localizada próximo à Marquise e ao Auditório. Com rampas de inclina? ?o suave, inscri? ?es em braile, piso tátil e suportes aéreos ao alcance de uma crian?a sentada em uma cadeira de rodas, o playground prop?e brincadeiras que misturam equilíbrio, for?a e estímulos sensoriais na medida exata para que crian?as cadeirantes, cegas, surdas, com deficiência intelectual ou múltipla possam divertir-se com o máximo de autonomia. Além de interagir com o 'brinqued?o', como foi batizado pelos funcionários do parque, as crian?as poder?o assistir a espetáculos circenses durante os três dias de programa??o. A festa de inaugura? ?o será nos dias 10, 11 e 12 de outubro, quando a Secretaria Municipal da Pessoa com Deficiência e Mobilidade Reduzida promoverá show com palha?os, mágico, malabaristas e outras atra? ?es circenses. As apresenta? ?es acontecem entre as 14h e 17h, sempre contando com intérpretes de Língua Brasileira de Sianis (Libras) e audiodescri? ?o para o público com deficiência visual. Nos dias 10 e 12 (domingo e feriado), haverá também monitores para facilitar o primeiro contato das crian?as com o brinquedo e transporte gratuito para cadeirantes pelo servi?o Atende, a partir da esta? ?o Santa Cruz do metr?. Can skate parks be accessible? Arona/ El alcalde de Arona, José Alberto González Reverón, asistió como ponente al Congreso sobre Accesibilidad, Dise?o Universal y Turismo para Todos, que se celebró en Pontevedra, en el marco de el Salón de Turismo de la ciudad gallega, Ferpalia 2010. Esta puesta en marcha de acciones a favor de la accesibilidad han supuesto para Arona "un reconocimiento tan prestigioso como la concesión del Premio Reina Sofía de Accesibilidad Universal", otorgado a aquellos municipios que hayan desarrollado una labor continuada en el campo de la accesibilidad universal de las personas con discapacidad al medio físico, la educación, el ocio, la cultura, el deporte, el turismo y las nuevas tecnologías de la información y la comunicación. Durante su intervención, González Reverón recordó "el germen del turismo en Arona, que se inició en la década de los 50 del pasado siglo, precisamente por la decisión de un grupo de suecos afectados por esclerosis múltiple de elegir el litoral del municipio para mejorar los efectos negativos de su enfermedad, gracias a las bonanzas del clima de la zona". discapacitadas, disminuyendo al máximo posibles dificultades de movilidad en nuestro territorio municipal". Entre las acciones desarrolladas, González Reverón destacó la eliminación de barreras arquitectónicas en edificios públicos y planta alojativa, la organización de actividades accesibles a personas con movilidad reducida, el servicio de ba?o adaptado (que facilita el ba?o de personas discapacitadas en las playas del municipio), un paseo marítimo accesible de seis kilómetros de longitud, o la edición de una guía accesible, entre otras cuestiones. Finally, I want to ask all of us to consider the role of manaakitanga - our hospitality as hosts. How can we make all of our guests feel welcome in this beautiful land of ours? I believe that Access Tourism provides us with many solutions to do exactly that. Once again, thank you for the honour of opening this conference. I look forward to receiving your recommendations about the practical measures that will lead to an accessible tourist experience, and I can assure you all that I will do my best to take every recommendation to the appropriate Minister for their action. My best wishes to you all. Tena tatou katoa. The Honourable Tariana Turia, Minister for Disabilities Issues and co-leader of the Maori Party opened the inaugural Access Tourism New Zealand Conference at AUT University Auckland on Monday (October 4th, 2010). The conference was organized by the New Zealand Tourism Research Institute. The audience of 100+ heard the Minister describe what Access Tourism is, and how this was the fastest growing sector overseas. She pointed out that this is an economically important market that is neglected in NZ. She pledged her personal support for improving the performance of government agencies in removing participation and access barriers. Gurney Drive is a rather long stretch of road, about 1.9km from end to end. 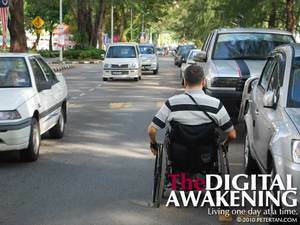 There are simply too few kerb ramps for wheelchair users to get onto the promenade or get off to go to the kopitiams across the road. As a popular tourist destination, the lack of accessibility makes it difficult for disabled people to fully enjoy our time there. Most importantly, our safety is severely compromised every time we are forced to use the road with other vehicles. For people with specific access accommodation needs, locating accessible accommodation is the precursor to any trip. Hence, for destination management not to pay attention to this essential criteria suggests that they are not taking the accessible tourism market seriously. What became apparent over the last two decades of disability tourism research is that it is time to move beyond looking at the constraints facing people in the process of travel planning and the barriers faced whilst travelling to create a greater sophistication to our understanding and to provide solutions for their negotiation so people may travel to where they wish to. Most research had identified the generalities of accessible accommodation requirements without having any specific empirical approach to understanding the needs from a mobility, vision, hearing and cognitive perspective. Darcy, S. (2010). Inherent complexity: Disability, accessible tourism and accommodation information preferences.Tourism Management, 31(6), 816-826. Studies have identified serious issues with the way that accessible accommodation information is documented, promoted and marketed. Yet, no research has investigated the criteria that people with disabilities determine as 'important' to selecting accommodation and their preference for presenting this information. This paper presents the results of an online questionnaire to determine the relative importance of room selection criteria through the development of a 55-item Hotel Accessibility Scale. Four information formats were then presented to ascertain the preferences of the respondents. The results suggest that while socio-demographic variables offered some insight into criteria selection, the most significant explanation for criteria selection and information preferences were through the dimensions of disability and level of support needs. The preferred format of accessible accommodation information provision was based on a combination of textual, floorplan and digital photography. The management implications suggest that detailed information provision using this format has benefits for accommodation stock yield and social sustainability. El ayuntamiento de A Guarda estuvo presente en Ferpalia 2010. Esta feria de turismo orientada a los profesionales del sector, se celebró del 29 de septiembre al 2 de octubre en Pontevedra. 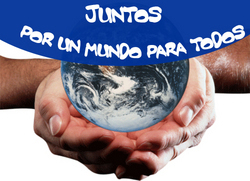 En esta edición, la feria puso especial atención en la la accesibilidad, dise?o universal y turismo para todos, a través de un amplio programa de conferencias y mesas de trabajo. El ayuntamiento de A Guarda dispuso de un stand propio , que fue visitado por el alcalde, Domínguez Freitas, y en el que se facilitó la distribución de las guías, contándose también con una pantalla en la que se promocionó A Guarda a través de un video de turismo. Margalit Sturm Francus is filling a gaping hole in the literature and practice of Inclusive Tourism. She writes on travel with autism. See also her post "Autism-Friendly Hotels." The podcasts (audio files) and the Powepoint of the 11 presentations of the Access Tourism Conference can be accessed below. This review comes thanks to Aqeel Qureshi via the listserve of Disabled People's International. Indian cinema is changing attitudes of People in South Asia and rest of the world. Indian films like "Black" based on story of Deafblind girl, "Tare Zameen Per" story of child with Dyslexia, "My name is Khan" story of man with Autism broke records of success and business in India. Now "Guzarish" is a movie on young Quadriplegic Man on Independent Living. Guzaarish movie story is based on fictional man named Ethan, who is suffering from limb paralysis and his relationship with his caretaker and Nurse, Sophie. The movie is set in early 20th century. Ethan is aided through every moment of his present life by the epicenter of his world - his Nurse, Sofia D'Souza. Theirs is a love beautiful in its implicit silence, unwavering in its quiet strength and spirited in their constant verbal sparring. On the fourteenth anniversary of his accident, Ethan decides to seek control over his own life. He makes a petition to the Court that shocks the world and leaves Sofia in an impasse that challenges their relationship and their love. Alongside all the tumult that follows, a young man named Omar Siddiqui bursts into Ethan's world with a single-minded desire to learn magic from the very best. While on one hand Ethan passes on his magical legacy, on the other, he fights tooth-and-nail to demand the most basic right that every human being is entitled to - the right to his own life. The ethics, the morality, the kindness and cruelty of this mission creates a storm in all the lives that it envelops and its resolution forms the startling conclusion of Ethan's remarkable journey. So you want to travel to France? I'm sure you've heard the Paris metro is the oldest in the world and not exactly "accessible". And perhaps you've even heard that people in Paris aren't friendly. When you are traveling to France there are many things you need to know, and you should plan well ahead of your trip to ensure you run into minimum problems. I am by no means an expert, but I have traveled to France, been a tourist in Paris, and studied/lived in Brittany. I hope that you will find the suggestions below somewhat helpful as you plan your own adventure! email, rather than attempting to understand each other over the phone. France is truly attempting to adapt tourism and day-to-day life to people with all forms of handicaps, not just physical handicaps. You can find more information on the official French website regarding accessible tourism: http://www.voyage-handicap.fr/. are in French, but like I said it never hurts to contact the company as perhaps they can lead you in the right direction. If you are capable enough to plan on your own, I highly suggest that. You can seek out accessible guides at your local bookstore, or search online. By planning your own vacation you run the risk of running into problems, but you also have the opportunity to have a true adventure. Rick Steves' Easy Access Europe provides a lot of insight into what is available for accessible travel in Europe, along with tips on where to go, sleep, and eat. You can also use Mobility International USA. They are a non-profit organization specifically focused on helping people with disabilities travel abroad. Contacting them would be much to your advantage, as they know people all over the world willing to help you travel successfully and safely. Cap'Ability: http://www.cap-ability.fr/index.php?lang=enThis website is geared more towards tourist agencies that have disabled clients, but it doesn't hurt to do a bit of research or send an email to get a sense of what you are looking for. This is a travel program that you can do, it lays out your adventure day to day and does all the research for you! Very helpful if you would prefer an organized holiday. they are written by disabled travelers who are basically writing reviews on accessible tourist spots. Living the Sweet Life in Paris: http://www.davidlebovitz.com/2008/02/accessible-trav/. A former chef from California, David Lebovitz has a person blog that leads to the hungry to incredible restaurants, and sweet pastry shops, as well as other tips for Parisian visitors. He has a small section on accessible travel that is very helpful - and wouldn't trust a pastry chef? sprinkling of information for beginners. Bonne chance et bon voyage! If you have clients wanting to travel to Brazil Happy Life Tours has an lift-equipped van for hire in S?o Paulo .